Dorsey's appearance with Greenfield comes as other online platforms take steps to remove or limit the reach of vaccine misinformation. 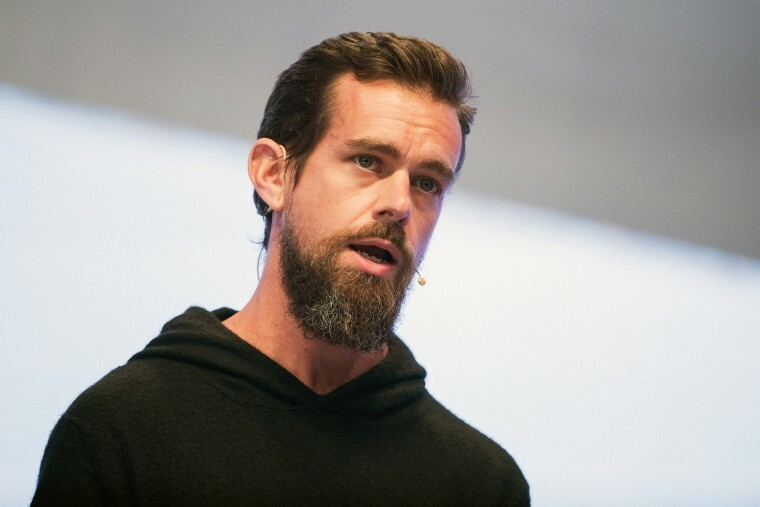 Twitter CEO Jack Dorsey has recorded a podcast with a fitness personality who last month repeated an unfounded claim that “vaccines do indeed cause autism” and told his readers not to trust the fact-checking organization Snopes. A Twitter spokesperson pointed NBC News to the company's advertising policies about health care, which note that "ads that make claims about the cure, treatment, diagnosis, or prevention of certain diseases and conditions are restricted under our Healthcare policy." A source familiar with the podcast taping who was not authorized to discuss the matter publicly told NBC News that Dorsey and Greenfield did not broach vaccine safety on the podcast. The podcast won’t be released until later in the month. Dorsey's personal appearance comes as other online platforms have taken steps to remove or limit the reach of vaccine misinformation after facing increased pressure from lawmakers and medical experts. Facebook announced it would “downrank” vaccine misinformation and reject advertising that spread “vaccine hoaxes.” Pinterest has blocked all vaccine-related search results, while YouTube removed ads from anti-vaccination videos last month. Amazon has pulled anti-vaccination documentaries from its Prime Video service and “autism cure” books from its marketplace. Vaccine misinformation has flourished online thanks to a community united by a widely debunked theory that childhood vaccinations cause myriad illnesses, including autism spectrum disorder. Those groups have also been boosted by the recommendation algorithms on major platforms that have rewarded controversial content. The success of vaccine misinformation campaigns and communities have led some parents to withhold or delay vaccinations, leading to an increase in the spread of preventable diseases. The World Health Organization listed vaccine hesitancy as one of its top 10 global health threats this year. Twelve U.S. states have dealt with measles outbreaks, a disease once nearly eradicated by vaccines, since Jan. 1. An Ohio teenager, Ethan Lindenberger, testified before Congress last week that his parents wouldn’t allow him to get vaccinated until he turned 18. Lindenberger blamed Facebook’s misinformation problem for his parents’ hardline stance. “I bring this up to show how in my own personal life this misinformation reached my family. Not only that, it led to the people I care about being put at risk," Lindenberger told the Senate Health Committee last week. Twitter has thus far escaped the scrutiny leveled at other platforms when it comes to vaccine misinformation. Greenfield has for years lobbied against vaccines on his personal website, but he was thrust back into the spotlight last month for a viral tweet spreading the debunked claim that vaccines cause autism. “Vaccines do indeed cause autism (and for Pete's sake, don't trust @snopes for your news on this matter or any other alternative health news),” Greenfield tweeted. The tweet then linked to a blog that claimed Snopes “spewed propaganda, not real facts” about vaccines.